Heat it to Beat it Photo Gallery! PMP Pals who are "veterans" of surgery with Dr Sardi, and their loved ones, gather each year to support Dr Sardi in his research program during the annual Heat it to Beat it Walk! 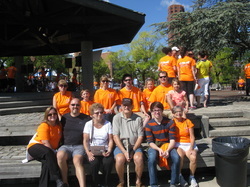 PMP Pals in Support of Heat it to Beat It 2013! Pals gathered to support Dr Sardi in his annual HITBI campaign! Dr Armando Sardi Greets Pal Family! Dr Sardi meets the children who were born after his patient, Chris, recuperated from CRS with HIPEC, more than 8 years ago! Dr Sardi Welcomes PMP Pals! Dr Armando Sardi thanks his supporters! Pal Chris chats with Dr Armando Sardi! Dr Sardi welcomes his patient, 8+ year survivor, Pal Chris! Pal Mentor, Chris, tells the crowd about the PMP Pals' Network! 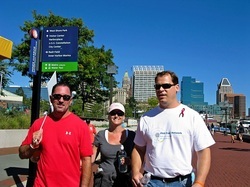 PMP Pals in Support of Heat It To Beat It 2012! Welcome to the annual photo gallery of Pals' pix in support of Heat It To Beat It! Pals Raised $$$ in Support of Heat It To Beat It! Smiles and enthusiasm helped encourage everyone to support Dr Armando Sardi's research! Pal Chris, welcomed you to the Pals' information table! 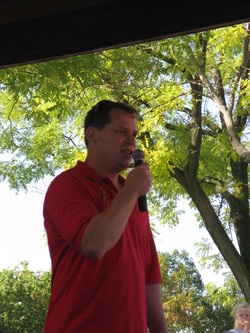 Cancer survivor Chris celebrated 7+ years of being cancer free by welcoming friends and family to the 2012 Heat It To Beat It! Pal family members of all ages support Heat It To Beat It! 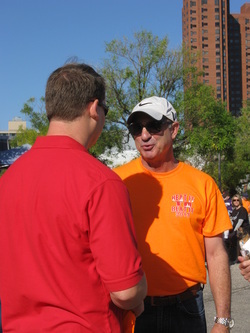 Walkin' "the walk" to beat cancer! 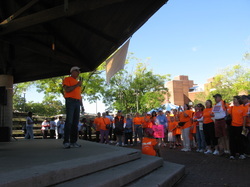 Hitting the pavement to walk in support of Dr Sardi's research! Two generations in support of Heat It To Beat It! Celebrating Chris' (far right) good health thanks to Dr Sardi's care and treatment! Pal Survivor, Chris, jogs in celebration of good health! Chris has been cancer free 7+ years after recuperating from CRS with HIPEC! Colorful balloons welcomed the crowd! 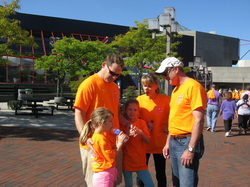 Pal Families and friends participated in 2011! Pals' Mom and son celebrated! Mary and her son, Chris, celebrate six years of Chris being cancer free! >Become a "Pal" and participate in our Family Support Groups! A great crowd in support of Heat It To Beat It! Fun for all at this annual event! 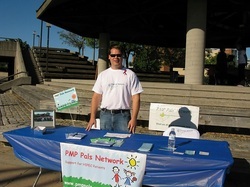 Subscribe to the "PMP Pals' Newsletter!" This page is sponsored by an anonymous couple in celebration of their son's successful cancer survivorship! This page last updated on 11.07.13 Copyright 2013 by PMP Pals' Network/All rights reserved.